Filmed August 5, 6, 7, 8, 9 & 12, 1968. (6 day production; total cost: $175, 924). 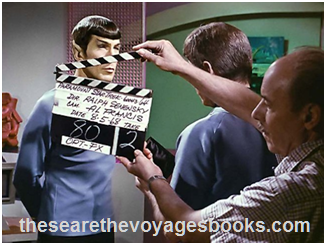 Production began on Monday, August 5, 1968. George Wallace had the cover of LIFE magazine with the headline, “The Spoiler from the South – Wallace: Coming on Fast.” He was hoping to be the Democratic candidate for the Presidential race. Meanwhile, the Republican Presidential Convention was going on this week, ending with the nomination of Richard M. Nixon. To mark the day, there were race riots in Miami, Florida, Little Rock, Arkansas, and Chicago, Illinois. “Hello, I Love You,” by The Doors, was getting more airplay than any other song on U.S. radio stations. “Classical Gas,” by Mason Williams, came in second. Cream had the top selling album in America’s record stores, with Wheels of Fire. Bonanza was the most-watched TV show from the night before. Ed Sullivan was in second place. 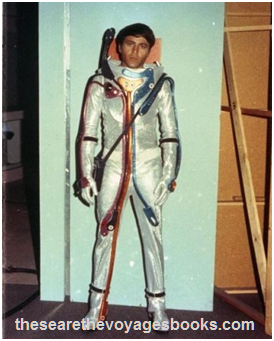 To Bill Theiss’ credit, the spacesuits created for this show were head and shoulders above the orange shower curtain outfits seen in “The Naked Time” two years earlier. Even with the costuming delay, Senensky filmed 8 pages from the script, which accounted for 17 scenes. The company was one and one-half hours behind when filming stopped at the end of the day. “If Jerry Finnerman had been there, it would have never happened,” Senensky said during an interview for this book. 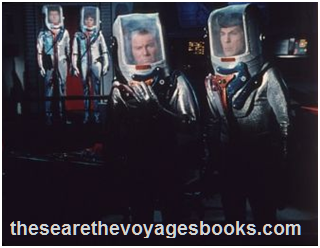 Finnerman, Senensky believed, would have lit the sets faster than Francis was able to, helping to offset the time lost due to the late arriving spacesuits. Day 2, Tuesday, began in engineering, followed by sickbay and the medical lab, for both the Enterprise and the Defiant. More movement back and forth -- more time lost. As with Day 1, Senensky covered 8 pages from the script, amounting to 17 scenes. At wrap time, the company was now a full half-day behind. 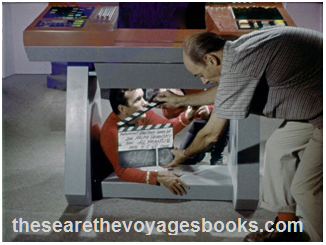 Jerry Finnerman, no longer with Star Trek, had seen this coming when the series’ Production Manager (Douglas Cramer) had locked horns with Senensky during the filming of “Is There in Truth No Beauty?” (see the Story Behind the Story of that episode). Senensky even admitted to Finnerman at that time that he knew he was running a risk of being fired for taking care with his direction. It didn’t happen on that episode, with an actors’ rebellion taking much of the attention off Senensky. 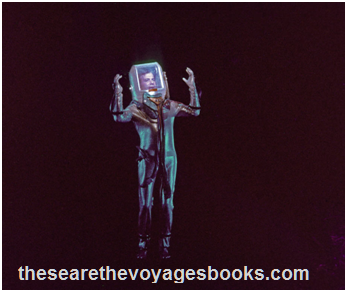 But, this time, with only zippers on spacesuits to blame, Senensky was unable to dodge the bullet. Senensky said, “The only time I even remember meeting Fred was when they called me in to fire me. I don’t remember any contact with him before. I think I shocked Fred a little bit because I didn’t come in begging to keep the job. I got the impression that was kind of what he wanted from a director. I told him that the stuff we had done was all the big production stuff. The stuff that was left was what I called ‘bread and butter’ scenes. 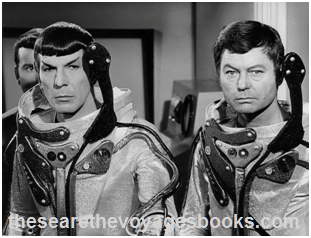 Herb Wallerstein, a TV director who had never even set foot on a Star Trek stage, received a phone call that evening. He was told to be at the studio bright and early the following morning to take over for Senensky. Wallerstein was 42, and had worked as an assistant director on series such as Father Knows Best and Hazel, and, in the same capacity, on films like The Tingler and The Three Stooges Meet Hercules. He became a full-fledged director with multiple assignments on TV’s The Farmer’s Daughter. He met Freiberger while directing for Iron Horse. But Star Trek was light-years away from anything Wallerstein had done before. There was an element of irony in what Wallerstein was requesting. 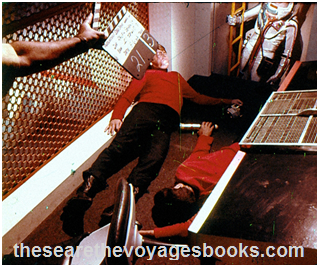 Francis had only worked as Star Trek’s cinematographer for three days, so the blind were now leading the blind. 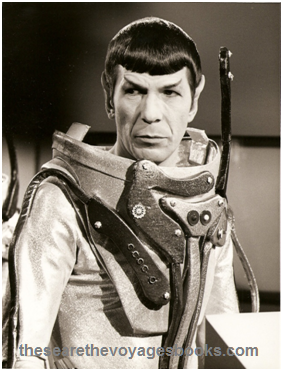 Days 4 and 5, Thursday and Friday, were spent on the Bridge, filming all the scenes not requiring the spacesuits. Wallerstein and Francis covered page after page of scripted action and dialogue, getting just what they needed and very little else. The work was competent, but hardly inspired. 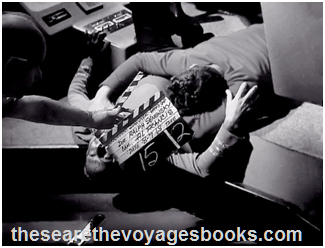 Continuing to prove an obstacle in keeping with the schedule were the camera tie-down shots. Burns said, “A lot of the stuff that was going to happen there was going to happen with lock downs. The first time that I was in a story conference, one of the things that Arthur said was, ‘Can we shoot this? Can we make the ghost story happen?’ And Bob said, ‘I don’t see a problem with that, but we just have to lock the cameras down, so we can do the registers, and Kirk floating through the ship.’ And that was part of the problem -- you had to constantly lock down the camera every time he showed up. On Friday night, August 9, NBC repeated “Assignment: Earth.” Cast and crew then had the weekend to recover from the drama on set. Day 6, Monday, August 12, was especially busy. The company worked at a feverish pitch, finishing on the Bridge, and then covering scenes in Uhura’s quarters, Spock’s quarters, the ship’s corridors, and the chapel. 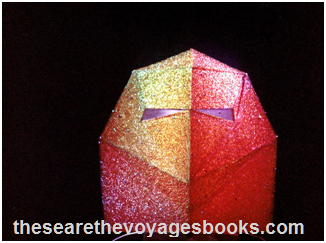 Also filmed on Monday, at the end of the frantic day, was the Tholian mask -- or space helmet -- which Mike Minor created. 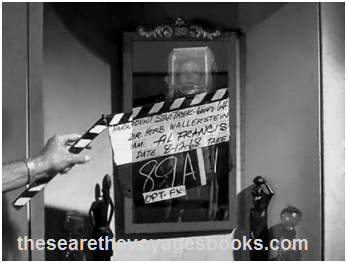 The mask was first shot against a curtain of black velvet. Unhappy with the results, Wallerstein filmed it again, this time against a background of crumpled tin foil. Paramount TV has changed directors on an NBC-TV Star Trek series episode midway in production, replacing Ralph Senensky with Herb Wallerstein. Senensky had been on “The Tholian Web” chapter for three days when the action was taken. According to a Par TV exec, move was made because Senensky was a full day behind the shooting “sked” at the time. Exec added action reflects continual battle to maintain TV budgets. The Paramount executive was incorrect. Senensky was not a full day behind, only a half day, which was commonplace in television. More often than not, segments fall to a quarter or half day behind and then catch up. Also more often than not a change in directors such as this, be it for illness or any other reason, would not be reported in the trades. Someone was clearly gunning for Ralph Senensky. Being reported on Page 2 of the top trade paper, it was a shot that was heard all around Hollywood. Senensky, who had been very much in demand, had no further offers for work during 1968, and even the first few months of 1969. Robert Justman helped get Senensky back to work, hiring him to direct an episode of Then Came Bronson in the summer of 1969. And then Senensky, who had always directed one-hour dramas, had to make the move to a pair of half-hour light comedies, The Courtship of Eddie’s Father and The Bill Cosby Show. Other than his one assignment on Then Came Bronson, it took two years before Senensky returned to directing one-hour dramatic TV. 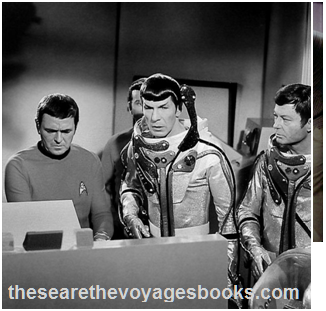 These Are the Voyages: TOS, Season Three. 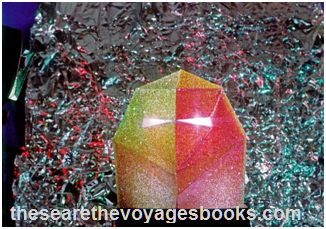 Judy Burns, co-writer, "The Tholian Web"